Let us look at what Hinduism holds to be the Absolute. The ultimate goal and Absolute of Hinduism are "Brahman" in Sanskrit. The word comes from the Sanskrit verb root brh, meaning "to grow". Etymologically, the term means "that which grows" (brhati) and "which causes to grow" (brhmayati). Brahman, as understood by the scriptures of Hinduism, as well as by the 'acharyas' of the Vedanta school, is a very specific conception of the Absolute. This unique conception has not been replicated by any other religion on earth and is exclusive to Hinduism. Thus to even call this conception of Brahman "God" is, in a sense, somewhat imprecise. This is the case because Brahman does not refer to the anthropomorphic concept of God of the Abrahamic religions. When we speak of Brahman, we are referring neither to the "old man in the sky" concept nor to the idea of the Absolute as even capable of being vengeful, fearful or engaging in choosing a favorite people from among His creatures. For that matter, Brahman is not a "He" at all, but rather transcends all empirically discernable categories, limitations, and dualities. 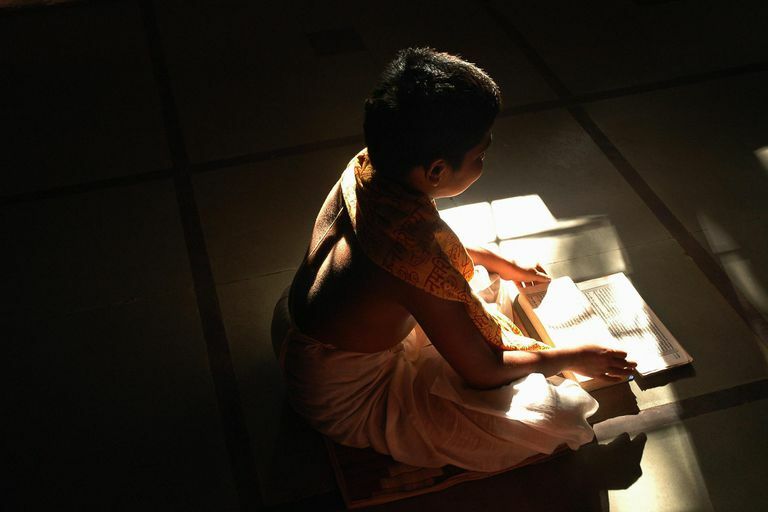 In the 'Taittariya Upanishad' II.1, Brahman has described in the following manner: "satyam jnanam anantam brahma", "Brahman is of the nature of truth, knowledge, and infinity." Infinite positive qualities and states have their existence secured solely by virtue of Brahman's very reality. Brahman is a necessary reality, eternal (i.e., beyond the purview of temporality), fully independent, non-contingent, and the source and ground of all things. Brahman is both immanently present in the realm of materiality, interpenetrating the whole of reality as the sustaining essence that gives it structure, meaning and existential being, yet Brahman is simultaneously the transcendent origin of all things (thus, panentheistic). As the primary causal substance of material reality (jagatkarana), Brahman does not arbitrarily will the coming into being of the non-Brahman metaphysical principles of matter and jivas (individuated consciousness), but rather they are manifest into being as a natural result of the overflowing of Brahman's grandeur, beauty, bliss, and love. Brahman cannot but create abundant good in a similar manner to how Brahman cannot but exist. Both existence and overflowing abundance are as many necessary properties of Brahman as love and nurturing are necessary qualities of any virtuous and loving mother. One can say that Brahman Itself (Him/Herself) constitutes the essential building material of all reality, being the antecedent primeval ontological substance from whence all things proceed. 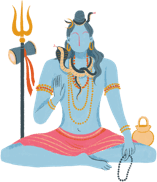 There is no ex nihilo creation in Hinduism. Brahman does not create anything from nothing but from the reality of Its own being. Thus Brahman is, in Aristotelian terms, both the Material Cause as well as the Efficient Cause of creation.